Happy Rosa Parks Day – What will the US do? “Ask not what your country can do for you, ask what you can do for your country?” – US President John F. Kennedy. For an intersex, immigrant, IVF father the question is not what he can do (he already did what he could which is to GIVE life), the question is who will protect his and his innocent IVF children’s rights? Happy Rosa Parks Day! On December 1, 1955, Ms. Rosa Parks was arrested, convicted and jailed for literally “refusing to stand up” while at a much higher level she was taking the “ultimate stand” in standing up for one’s rights. Her strength and courage inspired many then and continues to inspire many today. She proved that the prevailing laws were wrong even if they were the “laws” meaning laws may not always be right and sometimes we just have to “literally sit down” to make a BIGGER point in standing up against a failing system (in some areas). Ms. Parks and the movement showed that peaceful protest against a failing system is NOT wrong but the right thing to do for future generations to come. It also proved that USA is a great country which listens to reasoning and ALSO stands up against human rights violations including its own archaic laws. It takes a lot of character as a country to admit and move forward with that. Let TRUTH set you free. 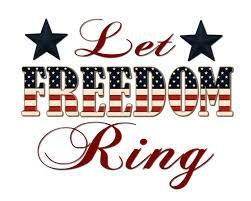 Let FREEDOM ring free is all we ask for IVF children and families. Wonder what would Ms. Parks say today about the IVF discrimination? Do the actions (or inactions) against an IVF father and his split IVF children “born out of wedlock” match American values? While human rights are ignored or given lip service at best in most parts of the world, the HOPE is that USA cares about human rights and can provide an equitable solution. Truth is what gives me the strength and courage to speak up and petition the most powerful nation in the world to have equal rights for IVF children and families. US President Obama in his Thanksgiving 2014 address said, “…commitment to American ideals like justice and equality”. Is willfully splitting IVF siblings equality and justice? After repeated lies and breaking the laws, what will the US do to send a strong message to anyone who is doing IVF abroad in the best interest of the innocent, voiceless IVF child? Will it stand up to defend the most vulnerable and uphold the laws OR let it go? What if there are other voiceless victims? The weapon doesn’t always have to be a “gun”, it can also be false records with equally devastating effect on innocent children and victims. As the Lanza case shows that “wishful thinking” even with the best of intentions is not the right answer and splitting innocent IVF siblings is a classic case of “missed opportunities” – let us not repeat our mistakes like the “baby scoop era” or civil rights, or gay rights, or women suffrage only to setup a “truth and reconciliation” commission decades later, let us give the innocent IVF siblings what they deserve – a childhood together and justice for IVF rights. I was forced into silence and kept against my own will for 10 years in my own home in Texas. Finally, I was let go but my child was taken away from me. I was left behind with another child to care for in a foreign land. These are the facts of not some woman who has been harassed for dowry or some woman who has been raped or some woman who has been a victim of domestic violence or abuse. These are the facts of an intersex, immigrant, IVF father in Texas in 2000s. When will me and my voiceless IVF children get justice and be united to be together? The simple fact is what justice do innocent IVF siblings deserve when the justice system has been manipulated and their rights denied? Does an IVF child born during a divorce have the same rights as a natural born child? This is not just a case of uniting IVF siblings but is about what message to send? Infertile Americans cannot bring a child born outside the US legally, so should they create fraud documents, break laws, place innocent child in legal limbo, and violate rights of so many others? Or should one be truthful and respect laws? Is abandoning an innocent child in a foreign land, using IVF as your personal baby making factory with utter disregard for innocent children and surrogate and hide in the US escaping justice from the foreign courts the modus operandi the US encourages its citizenry through it lack of action and denial of truth? Splitting innocent siblings will never be justifiable, taking away a child from their primary care provider will never be justifiable. Countries like US, UK, Canada, Australia engaged in the baby scoop era in separating innocent children from their biological families through lying, suppressing truth only to apologize decades later. Is that what’s going on now with IVF children and the secrecy and lies surrounding them? As a lifelong believer both in practice and words of equal rights for intersex and IVF, one cannot simply stand on the sidelines while more humans are being traumatized and denied rights including innocent children. The question to ask is can an intersex, immigrant, infertile person repeat this in 2014 legally? The answer is no meaning laws must have been broken and the fight to have equal intersex and IVF rights must go on to save innocent lives and the most vulnerable – voiceless children. In 1922, Mahatma Gandhi was charged with sedition charges only to be vindicated 25 years later. In. 1955, Rosa Parks stood up for what she believed is wrong even though reserving seats in a bus based on “skin color” was legal at the time. In 1962, Madiba was tried under apartheid laws only to be vindicated 27 years later. How is an intersex, immigrant, IVF father treated in 2000s? More importantly, how are his IVF children being treated? The greatest humanitarians of the 20th century have taught us to speak up and have lots of patience because truth is worth fighting for and injustice is worth standing up against. Speaking the truth and asking for rights is not anti – national. If anything, in the long-term truth through mutual reapect for all builds the character of a nation as the last century has shown but requires patience. Change is not wrong, resistance to change is. Will an intersex, immigrant, IVF father be persecuted, threatened, intimidated, even if systemically for stating facts? Or will he be listened and the right answer is to have proper laws in best interest of IVF children? More importantly, without proper laws, is it creating an environment of more innocent victims including children where some people may do anything to have a child including secrecy, lies, cheating, fraud, breaking laws? It is obvious the laws have not caught up with technology as per US DoS report. What about people who take advantage of these loopholes for personal benefit breaking the laws? It is clear that how US family courts treat a “parent-child” relationship in the context of IVF is very different than how US Immigration laws view the same relationship. What about people who take advantage of these loopholes and escape justice? More importantly, how do the lies and secrecy help the innocent IVF children? In 2009, David Goldman was united with his son after 5 years without raising any issues of the impact on a 9 year old removed from his biological grandparents, the primary care provider. Ann Pettway was convicted after 23 years of raising a child like her own through fraud documents in US. In 2009, an innocent IVF child was taken away from his biological father and his primary care provider while his sister was abandoned in India. In a case of dolus eventualis and fait accompli, an intersex, immigrant, IVF father was traumatized beyond imagination and had to both save his child in India and give her rights. Since the entire situation is NEW, what are the rights of an IVF child born during a divorce? It seems a child is a child but afraid so, an international IVF child born during a divorce has no rights and can simply be discarded with no consequences. Is this the America we want? Or do we respect all? If the US system has been manipulated, what will it do? How will it stop from creating more innocent victims and send a strong message? Laws/change will come, whether its 25, 9, or 27 years later, what we need now is no more innocent IVF child victims. Respect all, equality for everyone. When will the dream to have equal intersex and IVF rights become a reality? “Tear down these walls” – as US President Reagan said. When will the walls of secrecy and lies be broken and we can dream to live in a world where we can speak the truth freely without intimidation, persecution, threats? Previous PostHappy Thanksgiving 2014Next PostWhy We Need IVF Crisis Centers and What Is Their Impact?